We can't wait to see more of them! It is no secret that we've been keeping our eyes on celebrity kids these days. We're really excited to see more of them in the coming months and years. 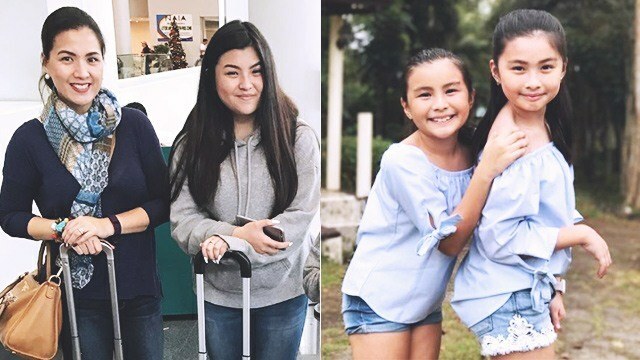 This week, we can't stop talking about Bernadette Allyson-Estrada and Gary Estrada's lovely daughters, Icee, Gabbi, and Gianna Estrada. Just look at those lovely, lovely faces! Those eyes are killing us! They seriously got their mom and dad's bright smiles! ...their older sister seems to be into photography, even assisting her dad during a photo shoot they did in Quezon. Whatever these girls decide to do in the future, we'll surely be supporting them all the way.